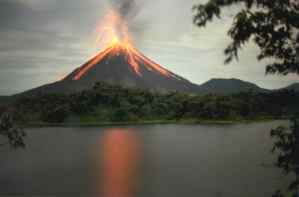 Posted by ecointeractive in 07 Day, Cost Rica Vacation Interaries, La Fortuna / Arenal Volcano, Tamarindo, Travel. You will arrive at Liberia Airport and connect with your private transfer to La Fortuna (approximately 3 hours). Along the way you will encounter the Majestic Arenal Volcano emerging from a carpet of tropical rainforest. During the journey you are free to stop along the way for viewpoints, bathroom breaks or restaurant stops. 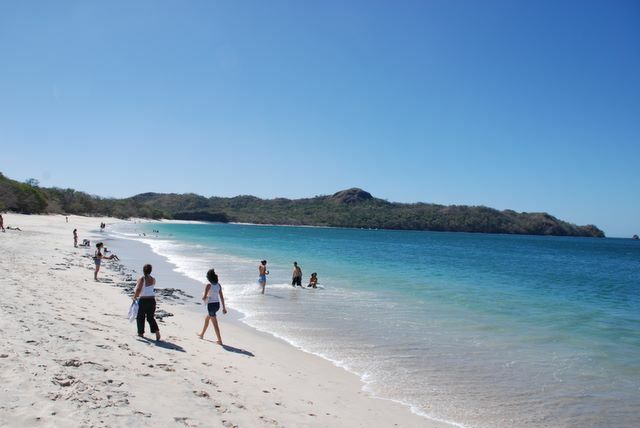 Enjoy your private tour and get your first taste of Costa Rica. You have just arrived in Costa Rica and the adventure has already begun. After a hearty Costa Rican breakfast, get ready for your first day of adventure! Today you will venture through a tropical jungle on a safari float trip down the Rio Penas Blancas. After a brief 20-minute drive to the lower Penas Blancas River, and a safety briefing by your naturalist guide, we will launch inflatable rafts on this slower moving Penas Blancas through an amazing rainforest teaming with wildlife. Enjoy a relaxing 2-hour float excursion. Your bilingual naturalist guide will share with you his vast knowledge of the flora and fauna of the region. As you progress down the river you will come to the farm of Don Pedro where you will have the opportunity to get an up-close and personal glimpse of traditional Costa Rican farm life. Don Pedro will greet you personally and show you a little of the famous Costa Rica hospitality known as “Pura Vida.” Departing the home of Don Pedro, the final 40-minute segment of your river float experience will pass by the extraordinary vistas of Boca Arenal. The rest of the day is yours to relax and enjoy poolside at the hotel -or- you may choose to visit the many natural hot springs or the nearby town of Fortuna for some local flare and restaurant options. Dinner on your own. Costa Rica is famous for its Canopy Tours. This is a not to be missed Costa Rica original. We will start our adventure with a 40-minute horseback ride through the Costa Rican countryside, followed by a short hike through a tropical rain forest. Along the way your naturalist guide will provide you with insights into the Flora and Fauna that you will encounter along the way. Common to the area are white-faced monkeys, howler monkeys, agoutis, a variety of snakes, and great diversity of birds. The excitement and anticipation builds as you arrive at the edge of the rainforest and the first platform. High up in the canopy, you can glide through the forest via ropes and cables. This is an exciting and safe adventure for all, combined with an educational experience that you will never forget. The Canopy Tour concludes with a rappel ending at the edge of the rainforest and a picturesque river bend. The rest of the day is yours to relax in the hot springs, go for a volcano exploration hike or hang out at the pool at your hotel! After a hearty Costa Rican breakfast, you will be transfered to the El Tanque airstrip for your flight to the beaches of Tamarindo! (Ground transfers also available. Air Transfer: 30 minutes / Ground Transfer 5.5 hours). You will be greeted at the Tamarindo Airstrip and provided a private transfer to one of the most family friendly resorts in all of Costa Rica, The Paradisus Playa Conchal! Paradisus Playa Conchal is an all-inclusive resort with all the amenities you could ask for in a family oriented resort. Special Family Concierge Service offers the unique concept of Family Vacation Service. Paradisus Playa Conchal has it all: relax at the beach, sunbathe by the pool, exclusive kids climbing wall and you can eat and drink to your hearts content…it’s all included! Wake up, eat breakfast and enjoy every last minute possible of the beach and tropical setting. Your private transfer will be there promptly to get you to the Liberia airport in time for your domestic flight home.